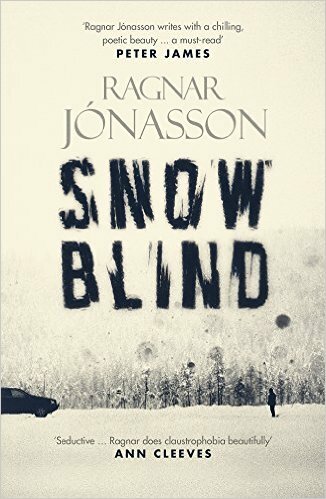 Snowblind was the talk of Nordicana and I wasn’t allowed to leave without having bought a copy. Two hundred and fifty pages later, I can report that Ragnar Jónasson’s novel, translated by Quentin Bates, is an entertaining – and curiously thought-provoking – addition to Icelandic Noir. The town of Siglufjörður in northern Iceland is made for a closed-community whodunnit. At the time that Ragnar Jónasson’s Snowblind was originally written, the town could be cut off to land transport for days at a time. That’s rather handy when you want a fixed set of suspects. 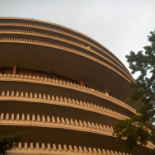 More seriously, it gives you a backdrop in which to portray claustrophobia, isolation and tension. Snowblind introduces Ari Thór Arason, fresh out of police college and an outsider from the big city, coming to terms with small town culture and missing his girlfriend. His naivety is a nice contrast from the grizzled, cynical, wise-cracking, troubled hero that so often inhabits the police procedural, and it will be interesting to see how his character develops in sequels. Jónasson is quite sympathetic to his characters as a whole, even though they each have a secret. You want the mystery solved so that this close-knit community can go back to its practices of leaving their houses unlocked and undertaking am-dram productions. The writer manages the feat of keeping the prose quite pacy while getting across the ennui of the town’s bleak existence during the harsh winter. Snowblind was written around the time of the financial crash that for a while enveloped Iceland. But the setting of Siglufjörður is a reminder to readers in Reykjavík that these things happen (and perhaps a warning that there might not be a happy ending after the downturn). Siglufjörður experienced its own boom during the herring years of the 1940s and 1950s and it’s understood by the community that these days will never return. Personally I enjoyed the incongruity – admittedly not open to everyone – of reading this in the height of a British summer, in a village the same size as Siglufjörður and which itself boasts musicians, mechanics and amateur dramatics. A nice piece of serendipity and I recommend that as many writers as possible seek out towns of about 1,300 people. Thanks in advance. Wherever you read it, Snowblind is a great debut novel. I’m looking forward to the sequel, Nightblind, which will be out in English next year. This entry was posted on 9 July 2015 by Cafe thinking in Nordic Noir, Reviews, Writing and tagged Icelandic Noir, Ragnar Jonasson, Snowblind.